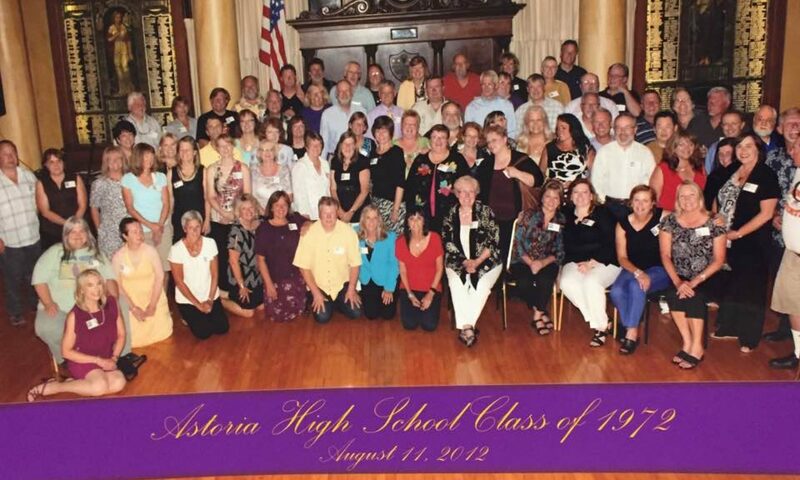 The 45th anniversary of the Astoria High School Class of 1972 was celebrated August 11-13, 2017 in Astoria, Oregon. Watch for photos of the reunion , which will be posted here and elsewhere on the site soon! For now, take a look at a slide show presentation created by class member Tom Dent which was shown at the reunion. It features senior portraits of all Class of 1972 members along with current photos of classmates that were made available to us. Also, there’s a special section devoted to class members who are no longer with us. Sadly, we learned that classmate Mike Johnson passed away just after the reunion on August 15, 2017. Read the obituary posted on the Daily Astorian website.